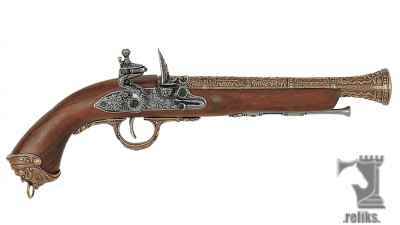 These high quality replica flintlock pistols are very high quality. Made in Spain using real metal and wooden parts. 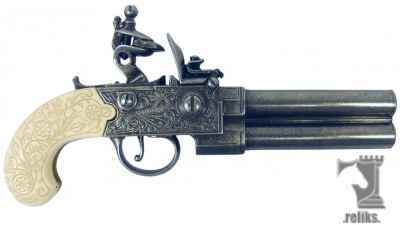 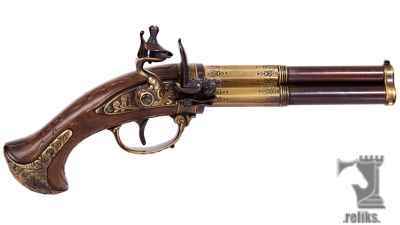 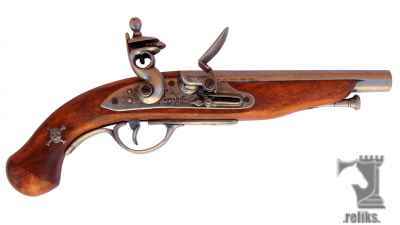 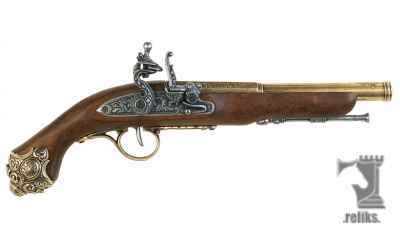 Each of the flintlock mechanisms can be "cocked" and fired by the trigger. 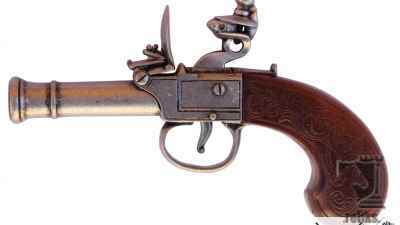 You will hear an audible click as the flint strikes the frizzen (striking plate). 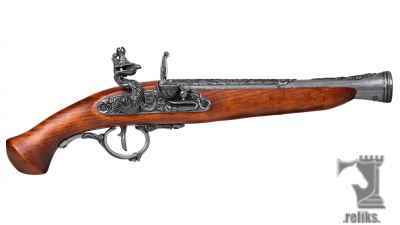 They do not load and can not fire projectiles but look great with Steam Punk attire, Pirate garb, Renaissance clothing and several other types of cosplay costuming.